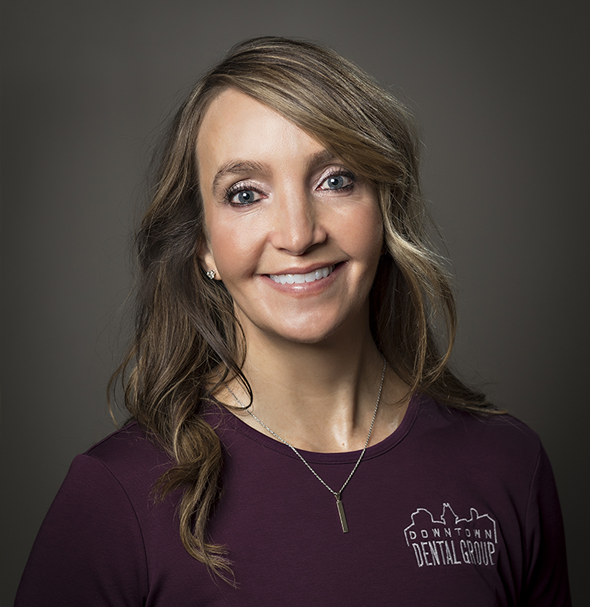 Ali Karr is an Admin with Downtown Dental Group. Something you might not know about Ali is that she was the kid that ate all of their Halloween candy in 3 days, which she does not advise anyone to do. It’s no wonder that she mentioned that her Achilles’ heel was food. What Ali loves most about working at DDG is that the coworkers and patients have become like family to her. When she is not at work, she enjoys sleeping in, drinking coffee, and hitting the gym. The way to Ali’s heart is being good to her sons, lots of laughter, and a strong faith. Something that she’d like patients to know is that flossing can improve life expectancy. When you’re in the office you should ask Ali about her favorite memory at DDG, which involves Michaela and a drawing!